PIXIE HAIRCUT THE CUT ~~ Shorter haircuts get a bit longer and take on a softer shape when they’re heavily razored all over. To update the pixie haircut, Robert Mickartz of Hair Fashion Mickartz in Wuerselen, Germany, razors the entire nape so it hugs the head. Longer top and front layers are sliced into wider sections and are allowed to over hang the close-cut back a bit. Bangs are irregular in length to add softness. PIXIE HAIRCUT THE HAIR COLOR ~~ Pale, near platinum blonde gets a boost from a slightly darker shade at the nape and the top root area. As a result, the eye focuses on the sides and front bangs, but the otherwise pale color has true depth. PIXIE HAIRCUT HOW TO STYLE IT ~~ Add a tiny amount of hair styling creme and use your vent brush to flick up the nape first. Then lift the roots slightly as you continuously brush through the entire top, lifting sections, then turn your wrist over as you progress toward the ends. Finger-style to finish. Pixie Haircut and Crop Haircut What is the Difference? 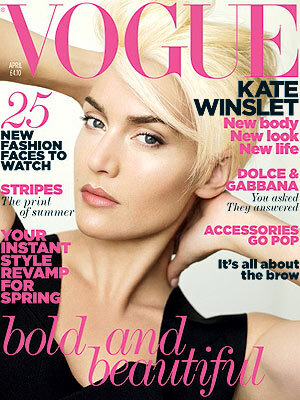 Kate Winslet’s Pixie Haircut – A Spring Hair Trend? January 24, 2012 By: Barb Quinn Hairstyle Blog Leave your comments (1), Your input matters. The pixie hair style is really cool and it require very less maintenance while adding a lot of value in a woman’s looks. It is the Cool hair style available for woman that like to have short hair and want have a different and dashing hair style. The added benefit of pixie hairstyles is that it suits all type of faces except round face.